Born in Pennsylvania, I have lived in Ohio, California (where I earned the honor of Eagle Scout at age 17) and for the past 35 years, right here in Arizona. 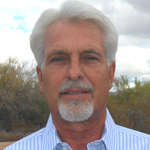 I have been a licensed Real Estate Broker for over 30 years, in both California and Arizona. I spent the majority of my career in the aerospace industry, starting as a machinist and working my way to the top levels of management. In addition, I recently expanded my favorite hobby and became certified as a Level III Golf Instructor. I am married with two sons and have seven wonderful grandchildren. I love my family, most sports including golf and boating, and I love my work and take great pride in applying strong personal ethics in all areas of my life. Home Mortgages and the process Many buyers are purchasing a home Mortgage with a down payment as little as 3%. You may already qualify for a loan, even if you don't have perfect credit. Take advantage of the knowledge of your local professionals who are there to help you determine how much you can afford.